With the craze of gender reveal flooding the social media time lines, Grand Wedding Exit is here to give you advice on where to get your products and how to properly use them. Popularity rise in gender reveal parties have led to many expecting moms to come up with creative ways to unveil the gender of their baby. There are various products that can be used at gender reveal celebrations and there are a variety of party ideas for gender reveal occasions. Gender Reveal Celebrations is our choice pick for gender reveal products online. Gender Reveal Celebrations offers a variety of products on their site and we will be evaluating them today! The categories vary from Sports Reveals to Balloons and Cannons. All products and items available at Gender Reveal Celebrations are available in pink or blue colors and can be ordered in various quantities. You can mix and match the products or even create large family celebrations. The Gender Reveal Balloons is one of the fun ways to POP the gender into existence. Our gender reveal balloons are 36 inches and non transparent. With no transparency it does not give away the gender of your new born. We offer the only true black gender reveal balloon. With the written text "He or She? Pop to see!" is printed in white. Depending on the gender of your baby, there will be pink or blue confetti. The gender reveal balloons have been trending on social media especially Instagram recently and the demand has increased. Revealing the gender by handheld smoke canisters have be used in various celebrity reveals across the nation. 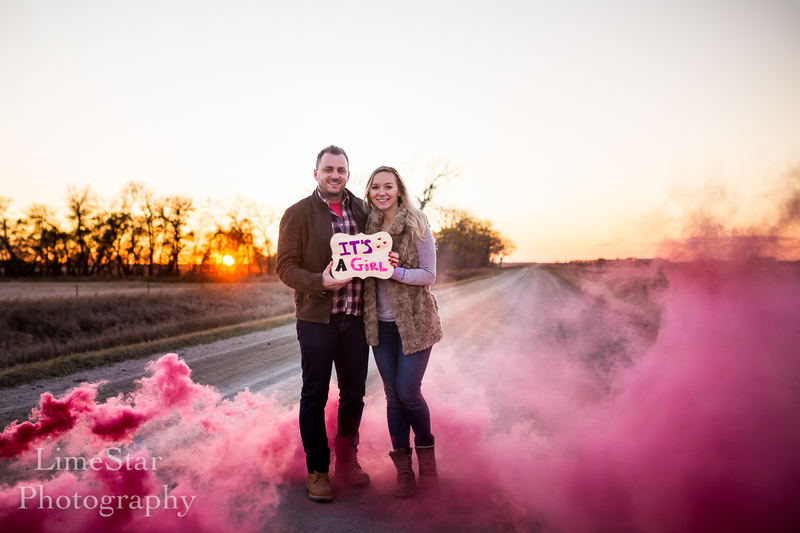 The Gender Reveal Smoke Bombs come in two colors: Pink and Blue. The smoke lasts between 60-75 seconds which give you ample time to celebrate the gender of your newborn. Do not forget to capture the moment in this smoke filled arena. You and your significant other can take the most creative photos by creating smoke clouds to emerge from. From our family at Sky Lanterns For Sale, they use the resound original sky lanterns for their gender reveal. Sky lanterns can be used for numerous occasions and has recently moved in to gender reveal celebratory events. What their customers have suggested was to write the gender of the baby in your color of choice on the sky lantern. 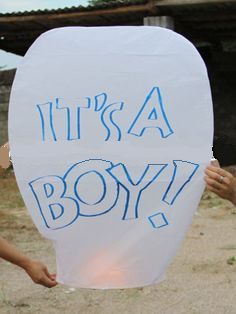 Then with the written side facing away, fill the sky lanterns with hot air to have it turn and reveal the gender of your newborn. This ensures for a high anticipation being able to be built up to the grand reveal. The Chinese sky lanterns from Sky Lanterns For Sale come in different shapes and sizes. The most wanted shape is the original diamond shaped sky lanterns and in a creme color which is easy to see lettering. There are several other shapes that are Cylinder sky lanterns which are tall. They Heart shaped sky lanterns are handmade as well and are a creme colored heart shaped sky lantern that illuminates beyond belief when in the night or day sky. One of the most extravagant ways to introduce your new baby to the world is a sparkler incorporation into the reveal. 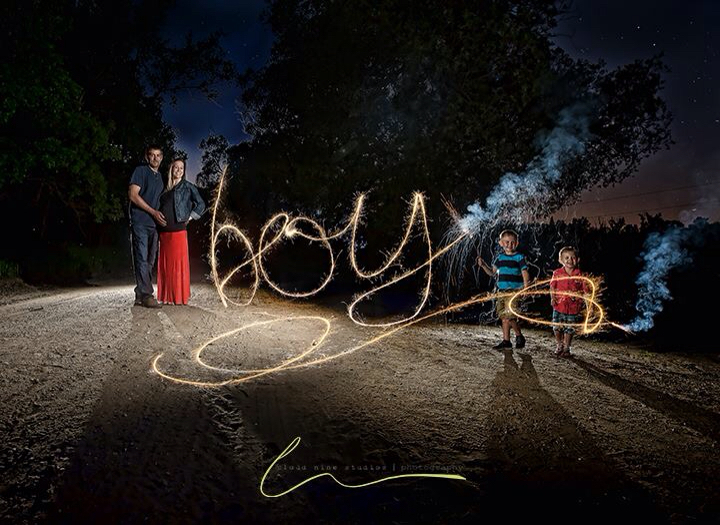 Our go to option for sparkler gender reveals is by conducting a sparkler writing activity and having the photographer reveal the special moment. Sparkler writing can only be captured by the photographer using a long exposure setting on the professional camera. This allows for the few people spelling out the gender of the new born in a constant motion. Once the photographer snaps that special picture, the gender will be written out for the entire family to see. The most recommended sparkler for this project is the 36 inch wedding sparkler solely for the sparkle time of the 36 inch wedding sparklers. Gender reveal celebrations can be an amazing time to have all the loved family and friends. From our experience, you have to have your own unique taste when it comes to making the event personal. The simplest theme go a long way, in our opinion, the styles we speak of can be in pink, blue or the color of your choice. The styles we prefer here at Grand Wedding Exit are stripes, shapes and polka dots. Check out our 9 creative ways you can use sparklers for your wedding! Consider adding a sparkle to your wedding in any of these unique ways. We wanted to bring other creative ways to use these wedding sparklers besides just at the end of the night. From first dances to wedding toasts with a spark! When is the Right Time to Buy Wedding Sparklers? Since our wedding sparklers have a shelf life of two to three years, we recommend brides to order wedding sparklers as soon as it becomes a to-do list item. Ideally, two to three months in advance is recommended time to buy sparklers. Capturing the perfect moments throughout the night can be challenging. By following the steps we have outlined here, you are guaranteed to capture memories for a life time with sparklers. You want to ensure that you or your photographers do not miss any shots that you will regret later.